Faith, in biblical language, doesn't mean belief, it means trust. When Jesus said, “Believe on me.” He wasn't saying, “Believe that I’m the Messiah, the second person of the Trinity.” he was saying, “Come follow me, walk with me and my students—and I’ll teach you the ways of God.” If it had simply been a matter of agreeing with a few basic ideas and then regeneration by the Holy Spirit, no prolonged student-teacher relationship would've been necessary. In fact, Jesus’ students walked with Him as full-time disciples, listening and learning day and night at the feet of their Master. Much in the way an apprentice plumber would be to a master plumber, but, instead of an eight-hour day, it was 24/7. Why was this necessary? After Jesus was gone, His closest students spent the rest of their lives trying to understand what they’d learned. How His teaching should be integrated into Judaism as they understood it, and whether non-Jews should be included as well. They eventually saw it as their calling to take His teaching to the ends of the earth and change the world. Remarkably enough, they actually accomplished this, in spite of coming up against massive roadblocks wherever they went, including the greatest empire of the age, Rome. Three centuries later, even Rome would bow the knee to the itinerant laborer whom they had unjustly crucified. In a very real sense, not even the most powerful of earthly kingdoms, not even death, could keep Jesus in the grave. Whether we like it or not, the name Jesus has become the name above all names, just as His earliest followers said it would. It is one thing to say this, it is another thing altogether for it to come true. The Book of Acts is a synopsis of the life of Jesus' earliest followers, laying out a brisk overview of those actively engaging in this “New Way” of being Jews, with Jesus as the long promised and very Jewish Messiah. No one thought they were creating a completely new religion. Not James, Jesus’ brother, who was the de facto leader of the early church, nor Paul or Peter. They understood Jesus’ teaching in the light of the Torah and the Prophets, not as a departure from, but, rather, a fulfillment of the very heart of the Hebrew scriptures. Likewise, they were generally accepted as part of the Judaism of the time, including synagogue and temple observance as well as the traditional blood sacrifices. They were faithful Jews, behaving and living as faithful Jews. This all changed after 70 A.D when the last great Jewish/Roman war ended with the destruction of Solomon’s rebuilt temple and the dispersion of most of the Jewish population from Jerusalem for the second time. It was the unwillingness of Jesus' followers to engage in war against Rome that was the final straw that ultimately divided members of "The Way" from traditional Judaism. This was, in many ways, a case of history repeating itself. Jesus had warned a divided Israel about their willful blindness and their inability to read the signs of the times. The destruction of the first Temple of Solomon and the Jewish diaspora that followed the Babylonian captivity in 536 B.C. offered a clear precedent from which to learn. Just as Jeremiah had warned the King of Judah regarding Babylon, Jesus warned the Pharisees, Herod and their followers regarding war with Rome. The choice of Barabbas or Jesus as a Passover offering symbolized the two paths available to Israel. Barabbas, the violent revolutionary represented the sword, while Jesus represented peaceful revolution (loving one’s enemies). This is the very real history that undergirds the religious symbolism and language of the Gospels. It also provides the context for understanding what is meant by separation from God as the result of sin. Israel was separated from Jerusalem, 'The City of God"—and Solomon's Temple, which was the "House of God," was destroyed by the Roman's in their war against "The Zealots," Barabbas's radical brethren in arms. To this day, only the wailing wall remains. Without the Temple as the place of ritual sacrifice, there was no means for a faithful Jew to atone for sin. This wasn't primarily about the individual's sin, but, was the collective sin of a people, the failure of Israel to be a light to the world, reflecting the nature of the one true God. Instead, they hid their light under a bushel in pursuit of wealth and power in an effort to be like other nations. This is also the message at the heart of all of the Prophets, Isaiah, Ezekiel, Jeremiah and Hosea, including Job and Jonah (These latter two are allegories about Israel and should be read that way). This wasn't a rejection of all Jews, or Judaism, since most of the earliest Church were, in fact, Jews. It was the very real world consequence of Israel rejecting Jesus' offer of a peaceful revolution. One that would begin with the repentance of His own people. Only then would God transform the world, which included the Romans. The schism that existed between Paul and the Jerusalem Church of James and Peter, was about the acceptance of the Gentiles as co-partners in Jesus’ sacrifice. If they were to be included in God's Kingdom, did they also have to keep the Law and sacrifices? For Paul, the answer was no. This is where he begins his great apologetic regarding the meaning of Jesus; his life, death and resurrection, which follows through all of his letters, Romans being the finest example. At no time was Paul arguing that “believing” certain ideas, or acknowledging particular “truths” about Jesus was his intent, or the heart of a new religion. At least, not the way in which we've come to mean it. Believing in your “heart” meant allowing your belief to be transformative, making you a new creation. One with a heaven-based vision of life in the here and now. In other words, “God’s Kingdom acted out on earth, as God commanded it from Heaven.” "The Kingdom of God" or "The Kingdom of Heaven" were synonymous terms meaning, “The rule and reign of God in the hearts of men”! Not a deferment of this life for the next. Nor did it refer to the heavenly realm above the clouds that came after death. The question of grace vs. works wasn't refering to “good deeds” as a method of getting to Heaven. Paul’s apologetic in Romans is about whether faithfully keeping the letter of the Law of Moses is sufficient without the "heart" of the Law. The word “works” is better understood as rituals, offerings; the blood of bulls and goats, tithes and temple taxes as a substitute for true Godliness, which Jesus and Paul both defined as mercy, faith, hope and love. This God-based vision of "kingdom" included, and even gave a place of prominence to the poorest and most wretched members of humanity, perfectly echoing the Prophets, Isaiah and Ezekiel in particular. 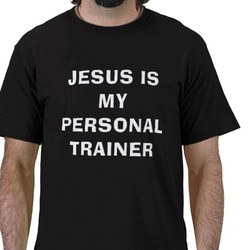 Jesus’ sacrifice wasn't intended as a version of “Believe what I say, repeat after me, and get a quick ticket into Heaven.” In fact, I’m inclined to think that what passes for meaningful Christianity is little more than the Gospel as a self-help manual, with Jesus as our personal trainer. Who needs to "Study to show themselves approved." 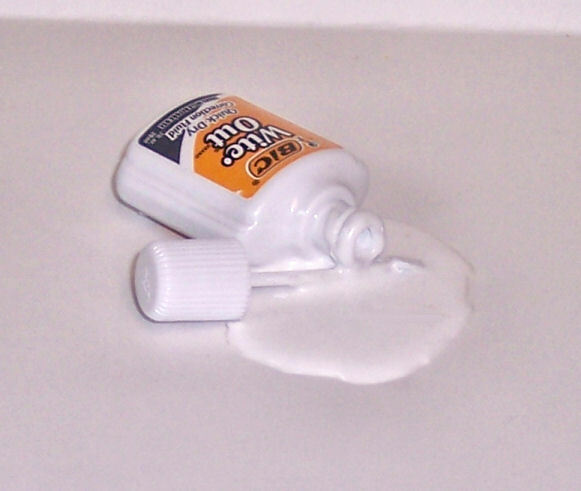 when you can say some magic words—and Grace, God's ecclesiastical white out, will do the rest. Nonsense! If Christians weren't so hell-bent on getting to heaven, they might look around and see very real and suffering people everywhere. The same people that Jesus ministered to every day of His life. If we really are members of His body, then we’ll do as He did. That’s what being His body means—His eyes that see, His ears that hear, His hands that heal. If we don’t do these things, then we are not His body—and no amount of grace will make it otherwise.